So this is happening and it couldn't be more fantastic! 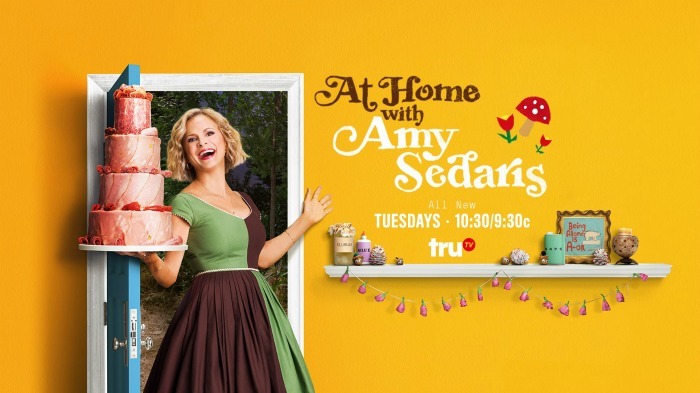 Tuesday night, truTV premiered At Home with Amy Sedaris..... Watch and learn from Amy a dizzying mix of entertaining, homemaking, giftgiving tips/ideas/solutions, all delivered with her signature style -- sprinkled with spice & sass and tied with a Rick Rack bow! How to describe Amy Sedaris..... Well, tasked with any craft project she can give Martha Stewart a run for her money, she mixes the wardrobe of June Cleaver with color & character of Phyllis Lindstrom and PS, she's just funny as H-E-double-hockey-sticks! *Watch the trailer for At Home with Amy Sedaris for a taste of what you're in for!